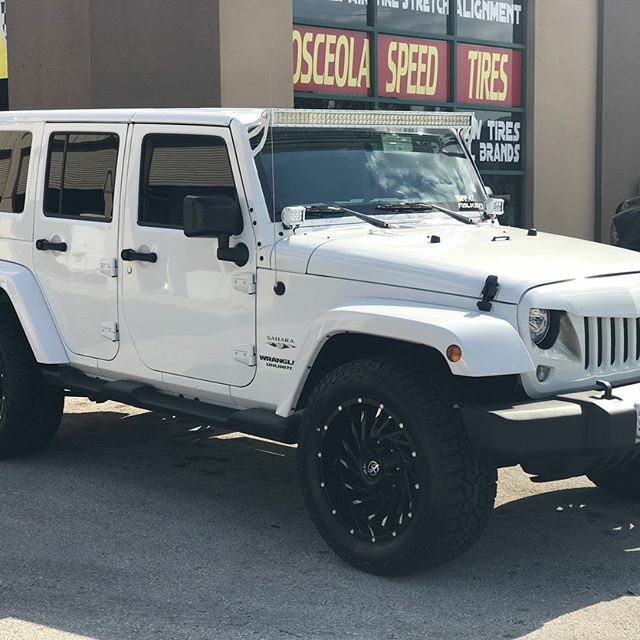 For the past 5 years, Osceola Speed Tires in Kissimmee, Florida has been selling top quality NEW and USED tires at discount prices. We stock over hundreds of tires and carry most major brands including BFGoodrich®, Bridgestone, Continental, Dunlop, Goodyear, Hankook, Pirelli, Toyo, Uniroyal, Yokohama, Cooper, Falken, Firestone, General, Kelly, Kumho, Michelin, Nexen, Nitto, Nokian, Rhino, and Sumitomo. No matter what you drive, Osceola Speed Tires has the tires for your car, truck, jeep, SUV, tractor, ATV, and even commercial trucks and trailers. When you buy tires from Osceola Speed Tires, you can be certain that you are getting the best price possible. You can also be sure that you are having your new tires mounted and balanced by the best installers around. We pride ourselves in doing the best job possible to get you and your vehicle on the road quickly and safely.